Pastor John Wade to Edgar and Pauline Connell Wade, in Port of Spain Trinidad and he was the 4th of the brothers, 6 boys and no sisters Edouard Wade, Alva Wade (deceased) Harry Wade, Garth Wade and Maurice Vidale. John was a soldier in the Trinidad Regiment 1965-1970, a Pastor 1983-1997 with the Seventh day Adventist, serving also as a Hospital and Prison Chaplin. John married Karen Black On 9/3/1989 and leaves his three most wonderful children Kezia Wade- Saint Louis married to Pastor Bryan Saint Louis, Jael Wade- Williams, married to Pastor Rayshuan Williams and Joshua Wade, with two grandchildren Jasmine Williams and Ray Jr. Williams. Pastor John Wade was a most unique self-made man. He sewed his own clothes, he grew his own food, he fixed his own car, he had a driver’s license for every vehicle, he cut his own hair, and held every job that was imaginable chef, chauffeur, baker, farmer, Taylor, taxi driver, soldier, pastor, Chaplain, and father. He learned music at the St Dominic’s Home and further developed his musical abilities on his own. He also played with the Southern Light Orchestra as principal Flautist and one of the leading dance band The Comets. His life impacted many. He was always ready to lend a helping hand without hesitation. His last position held was that of Pastor and Chaplain. He led hundreds to Christ and established churches from his outreach. His was the life of diligent unstinting service. He literally lived to serve. He would give away everything to anyone in need except for his flute, piccolo, and guitar. 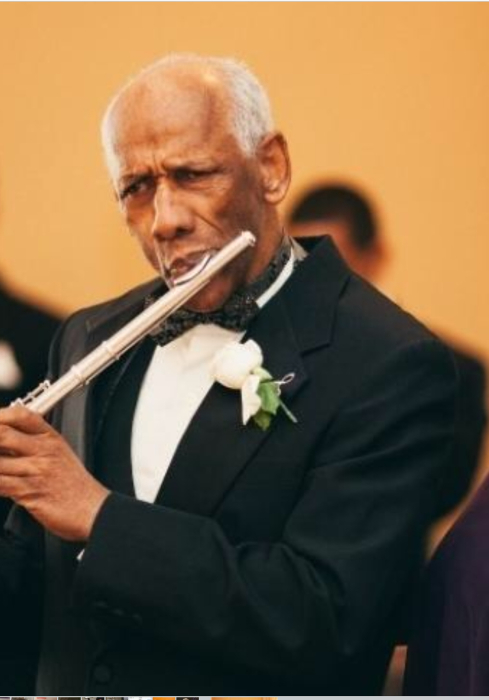 He taught himself music and achieved the coveted Music Festival Award in Woodwind twice at the Music Festival In Trinidad at Queen’s Hall Port of Spain, Trinidad 1982,1984, on the two occasions he entered. One of his most amazing accomplishments was his return to school at the age of 27 after he was baptized and became a Seventh day Adventist. He began in First Grade to retrain himself, did the GED, and later in 5 years time completed BA Theology 1983 after which he was hired as a Pastor with the South Caribbean Conference of Seventh day Adventist, Trinidad and Tobago, West Indies. He was ordained in 1989, the same year he married Karen Black. He migrated to USA in 1995 where he was a Literature Evangelist and ministered in the Prisons and even Hospitas. Whilst in America he completed his project to put the Bible to music writing and producing over 200 most beautiful songs categorized to the 30 doctrines of the church. He was believed in physical fitness and healthy eating of fruits, vegetables, nuts, and grains and religiously would do 85 push ups a day and displayed that feat for any to see. In healthy food and daily exercise he found strength and his best medicine, which I continued, even unto his death. His was a life to emulate!. A lifeof selfless, sacrificial service to all in need, literally filled daily with benevolence, random acts of kindness too many to be penned, irrespective of person or position, the homeless, the prisoners, the ex-prisoner, the sick, the dispossessed, the depressed even the insane. He was fearless and tireless in his hunger and pursuit of the soul for Christ, whenever and wherever, time and place were no hindrance to him. He taught as many as would allow, his most signature song with his ever so melodious voice and classical guitar, “Trust in the Lord with all your heart and lean not to your own understanding, in all your ways acknowledge Him and He shall direct your paths”(Proverbs 3:5-6). His only desire was to know, to love, and to serve God. And this he did unto the end. Of Pastor John Wade it could be rightly said quoting the renown apostle and learned evangelist Paul, “ I HAVE FOUGHT THE GOOD FIGHT, I HAVE FINISHED MY COURSE, HENCEFORTH IS LAID UP FOR ME A CROWN OF RIGHTEOUSNESS AND FOR ALL WHO SO BELIEVE AND LIVE”( 2 Timothy 4:7)! I could still and will forever hear him saying, “Follow me as I follow Christ”(1 Corinthians11:1).